Since launching in 2013 we have worked with hundreds of Operations Managers from all over the world helping them cut food waste in half while saving them time and resources. They have the incredibly important role of linking both the kitchen and front of house, to make sure industry’s safety standards are met, while customers get products that meet or exceed their expectations. 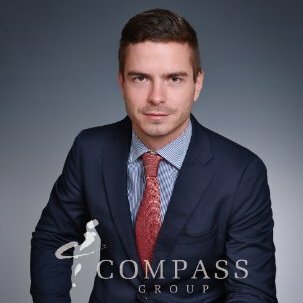 We had the pleasure to interview Simone Varrassi, District Operation Managers at Compass Group China, to learn more about his journey, inspirations, and challenges. My hospitality career began when I was still a teenager. I started working in restaurants during the time of my high school. After several years in the restaurant industry and four years in the wine industry I decided to start an MBA here in Shanghai. After completing my MBA I started searching for positions in F&B management, and this is how I ended up at Compass Group China. The food and beverage industry can be tough and I don’t believe I could do a good job if I wasn’t so passionate about it. In this industry, we ensure that people are able to satisfy one of the basic human needs. This gives me a lot of satisfaction. I remember one unusual occasion when I was requested to organize a beer and chicken wings services for a gala dinner. Food is very much about presentation and personal experience. With good food, an outstanding presentation, and a touch of creativity we always ensure diners have a good experience. In addition to that, we study global trends and try to surprise customers in a proactive way. Compass Group is conscious of its role in shaping a sustainable future. Do you have any new initiatives in your kitchen? We’ve been implementing many sustainable initiatives across Compass Group China. Besides having Winnow in our kitchen to help us reduce food waste, we are currently trying to create a link between food production and a healthier lifestyle. Also, we’ve been encouraging consumers to have a more conscious behavior, especially in terms of choosing portion sizes and certain types of food. We are currently increasing the options of fair trade supply chain, as well. What challenges did you face when you decided to cut waste from Compass’s kitchens? We normally name a “champion” in each kitchen to manage the rest of the team and make sure everybody is using the Winnow system correctly. Finding a champion who really takes ownership of the project was a bit of a challenge. In the very beginning, we realized that some people had a behavior toward using the system, probably because it was something new in the kitchen. But, the initially reluctant approach was quite rapidly replaced by the understanding of the benefits Winnow brings to our kitchen. How has Winnow’s technology impacted your operations on a longer term? Besides the fact that food waste has been reduced, causing a positive environmental and financial impact, we’ve been receiving a lot of support and compliments from clients for our effort to cut food waste in our operations. Making sure the kitchen is fully trained and ready to operate a new technology is the biggest challenge for operations managers wanting to make a difference. How do you see the Asian hospitality industry changing in the next five years? In the next five years, I see the Asian hospitality industry giving more and more importance to sustainability issues, such as food security. Working to meet customers’ expectations and compliance are also some of the main drivers for the coming years. What’s your piece of advice to catering operations looking to reduce food waste? 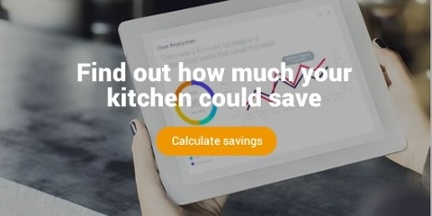 The best way for operations managers looking to reduce food waste is to invest in a piece of technology such as Winnow, that can efficiently track food waste, add a value to the weight, and help chefs drive change in their kitchen.